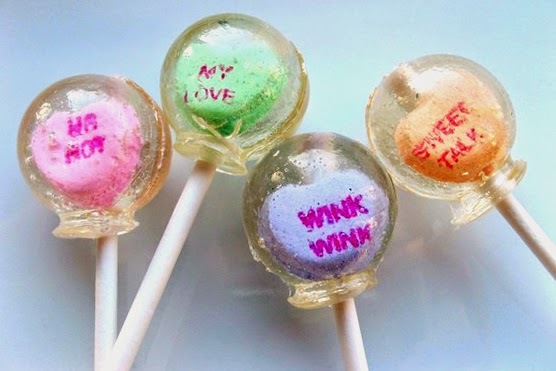 Loveable & Lickable Lollipop Art, Customized to your Taste. One-of-a-Kind Looks & Flavors that Make Great Gifts & Favors. 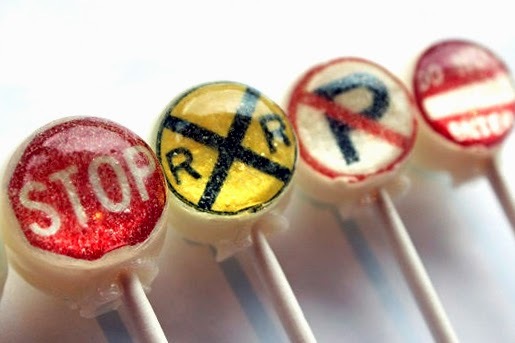 How many licks does it take to get to the center of a Tootsie Pop? I’d bet not nearly as many as it takes to get to the center of the universe. 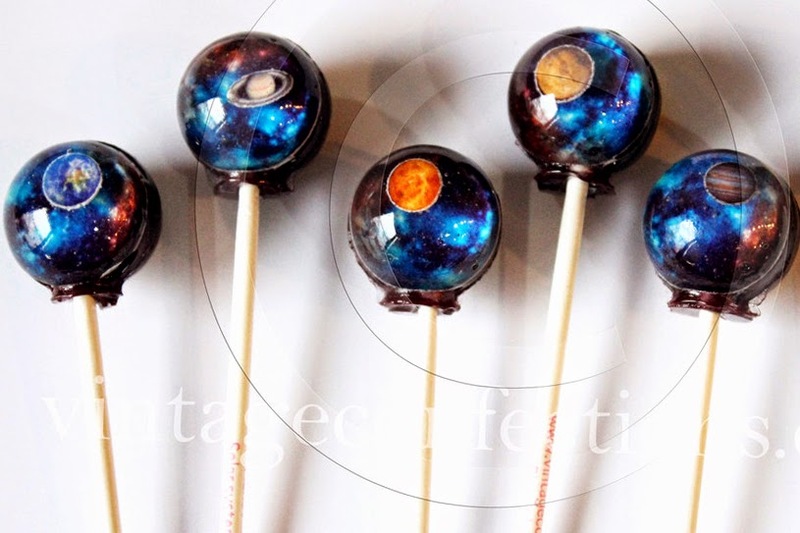 You probably didn’t think it was possible, but with the original Planet & Solar System lollipops created by the Illinois based candy artists of Vintage Confessions, you can eat your way through space. Of course, these custom made treats won't taste like star dust. Their best selling flavors are as artfully uncommon as the images they feature. How do Blackberry, Cherry, Cotton Candy, Guava and Marshmallow sound? If these doesn’t suit your fancy, you can tailor your order completely to your taste. Choose from a set of fun shapes and an extensive list of other finger licking flavors. What a fun way to “make” a present or favor for the people you love! Kudos to Cheryl and Heather for bringing this idea to life. Custom orders are only one way to enjoy the praise worthy creations of Vintage Confections. Online they offer a wide selection of designs that they’ve come up with over the years, anything from Creepy, Crawly Bugs and Eyeballs to Cute Patterns and "Pop" Art. If you happen to be in Clarendon Hills, Illinois, you can stop by their retail store and see the world of candy they’ve created offline. 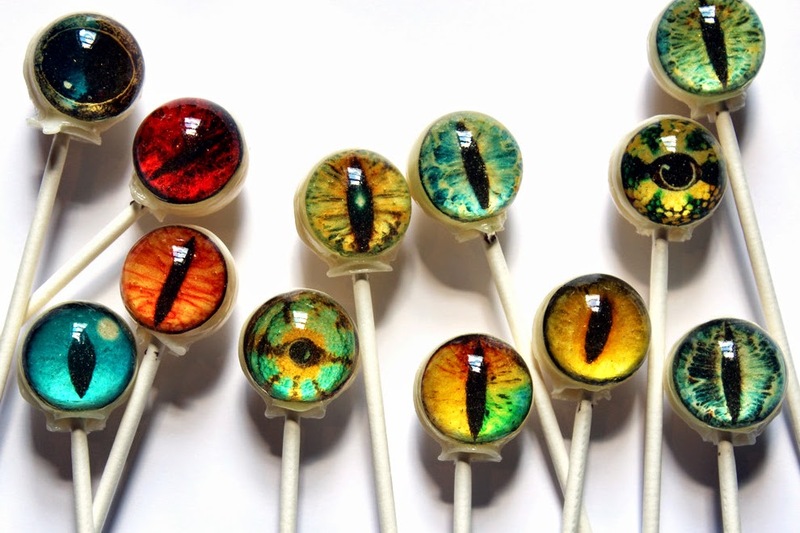 No matter which lollipops you choose, it’s hard to say no to hard candy with such beautiful art inside that you can enjoy down to the last lick!